Moov Now activity tracker is your personal coach. I love fitness trackers, but I’m rarely as excited about these wearables as I am with the Moov Now! It’s almost a shame it is not represented in the list of Top 10 fitness trackers I wrote earlier this year. The Now is the second generation activity tracker from Moov which originally was founded through a crowdfunding campaign. For the first generation version, it took only 90 minutes to reach their first $40.000 goal and $1 million dollars was collected in just 14 days. Anyway, it seems like the Moov Now is also very welcomed in the increasingly saturated activity tracker marked. The 24/7 automatic activity and sleep tracker is a serious competitor to products from Garmin, Fitbit and the rest of the huge brands. The sensors inside measure your movement in 3D and has the ability to coach you through a running exercise for instance with audio queues from your smartphone. More of that further down in my review. The creators of Moov Now has done things a bit differently from many others which feel fresh and new. For instance, they don’t use steps and calories burned as a metric for your training success but focus on active minutes instead. They take the advice from WHO (World Health Origination) seriously which states that an average person should perform 150 minutes of moderate exercise a week. In essence, that means a daily goal of 30 active minutes is a realistic goal, according to Moov. I think it’s quite intelligent. The Moov Now activity tracker has a very simple and basic design. The tracking device is a round shaped disc module with a tiny knob on the side, without display or vibration functionality. Pressing the top of the disc syncs the device with the Moov app and a small red indicator light on the top will glow red. The module fit inside an elastic silicone band with a lot of holes. The holes in the lightweight and breathable strap act as ventilation. When you purchase the gadget, it comes with a couple of bands in different sizes – one small for the wrist and one large for the ankle. The idea is that if you are running you will probably wear it on your wrist, but when cycling you may use it on your ankle. In comparison with the first generation Moov, this one is better, beefed up, slimmed down and packed with lots of features. It is complete water resistant down to 3 meters and the battery life is 6 months before the coin battery need to be replaced. While the band is black, the sensor unit comes in several different colours like red, grey, blue and white. The strap is locked with a small part with two pegs that secure the wearable in place. Some say the locking mechanism could be better, but it is secure enough and will not come undone when worn. Some activity trackers provide you with lots of statistics, numbers and step counts, but that’s about it. Then it is up to you to interpret the data and become healthier. That’s not how Moov Now works. When connected your smartphone via Bluetooth, you have a personal workout coach right in your pocket that talks to you in real-time and present feedback, guidance, and suggestions. It gives you great motivation and teaches you effective techniques in the sport you are practicing. The voice is a bit mechanical, but that’s fine. As previously mentioned the Moov Now is a 3D fitness tracker. It analyses all your movements in all directions, speed and force. One of the benefits with this is that you will get notified if you step too hard on the ground for instance when running by measuring the g-force on impact. It also checks if you need to shorten or lengthen your stride but measuring the range of motion of your feet with its accurate sensors. One more thing; Once in a while you get reminders to relax arms and shoulders. This is not something which the sensors pick up, but just a kind tip. It does not feel repetitive and annoying, but quite contrary quite intelligent. When you are aware of these things, you are preventing yourself from getting injured when running. In total, you can use the gadget in five different sports and it comes with 12 programs with over 200 variants. 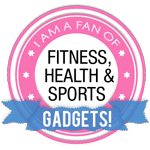 The five sports the coaching app covers are Running & Walking, 7 min Workout Program, Cardio Boxing, Swimming, and Cycling. The app called Moov Personal Coach & Tracker can be downloaded both from Google Play and Appstore for Android and iOS devices. Originally the five applications were separated but now they are gathered in one practical application. Since the fitness gadget is so dependent on your mobile phone you need to bring it to workouts. When you are swimming it is enough that the phone is locked away in the locker room as long as it’s not that far away. Running and Walking has five sub-categories. Speed Endurance: Mode for helping improving running times, pace and distance. The audio coach will motivate you to become a faster and better runner during the workout. Running Efficiency: Become an intelligent runner by adjusting pace and prevent injuries. You will learn to run farther and easier. Low intensity. Sprint Intervals: Touch, quick interval training with high speed and cadence intervals that push you to the limit. Brisk Walking: Walk fast until you are sweaty with high cadence intervals. Open Training: Run as you like. You will receive a few good tips during the run and a report afterwards. Cycling: As with running it is awesome to have a coach in the ear who correct and improve your cycling. Typical information is speed, pace, cadence and how far you have gone. When cycling the band is typically worn on your ankle. It is possible, and recommended, that you also pair up a Bluetooth heart rate sensor for more accurate numbers on calories burned and effort levels. Polar HR7 is an excellent choice for this. The Moov Now show you if you are pedaling too fast or slow and you get advice on when to change gear to save your knees. Swimming: The swimming monitor program is the only one with storage feature. It saves lots of cool metrics like laps, distance and more. Check it out after you are finished even if the phone is stored in the locker. Body Weight Workouts: This program guides you through a quick high-intensity workout you can do in your home. Squats and jumping jacks are showed in real-time on the smartphone if you are uncertain how to do it. Cardio Kickboxing: A kickboxing program that feels a bit like a game. You become fitter and stronger while you throw punches and watch the moves on your phone. It is possible to style your fitness gadget with new colored replacement wristbands like these. Moov Now core tracker piece. One large band for the ankle. One smaller band for your wrist. The Moov Now fitness tracker may be a wolf in sheep’s clothing. Even without display, it is a powerful fitness tracker to an amazingly cheap price! Yes, you are dependent on a smartphone and app to get all the features, but usually, you carry one around either way. It is comfortable and light to wear and can be used for many different sports like running, cycling and swimming. The real-time visual and audio coaching programs make it stand out from many of its competitors. It is not an expensive smart watch, but definitely a cool, fun and extremely motivational fitness tracker. Where can I buy Moov Now? Always click the button to check recently updated price and additional info. In the end of the day, it monitors your sleep. Interaction Tap unit for sync. Knob. Smartphone. I like the look of this product. I just wish that it did have a clock on it. I suppose that is not a big deal anyway. I am curious how this stands up against the Fitbit which I am considering buying. I would love to see a comparison of the two, to determine which one is better for me. This does have a lot of features, I am just not sure how it compares with the other big brands. This product looks really light and the fact that it sits almost flat makes what appears a comfortable fit for when I golf or walk. Definitely going to look more into it as it compares with other products that are similar but so far I like all the features it offers. Very similar to my golf gps that is like having my own caddie, this is like having your own fitness coach.